The UK’s road network should be redesigned to replace T-junctions with mini-roundabouts wherever possible in order to make highways easier to navigate for older drivers and reduce the risk of accidents. This is one of the recommendations from a new report by the Road Safety Foundation, which noted that the UK has not previously taken the needs of older drivers into account when designing roads, unlike other countries such as the US, which has had a comprehensive Highways Design Handbook for Older Drivers since 1998. Junction design was highlighted as a particular area for improvement. The report noted that the majority of intersection crashes occur at uncontrolled three-way T-junctions, and older drivers are more at risk. For drivers up to the age of 65, 15 per cent of fatal junction crashes occur at these locations, but this increases to more than 30 per cent of accidents involving over-75s. 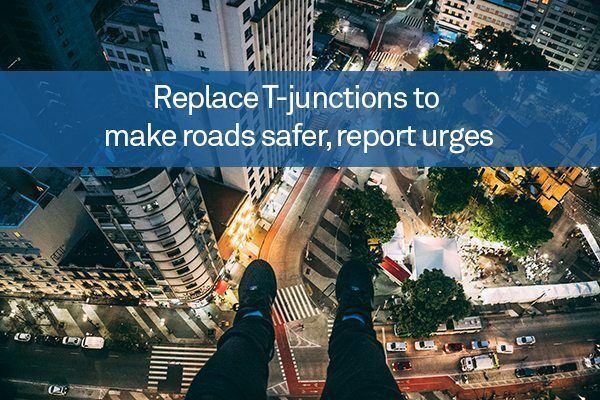 “Given that the percentage of serious accidents at T-junctions increases significantly with age after 65, and that this does not happen at roundabouts, it would be worth studying the value of installing mini-roundabouts at busy T-junctions with little or no change to the kerb lines,” the report stated. However, it added that the challenge for road designers undertaking this will be to ensure that drivers are able to perceive the roundabout, particularly where there is no deflection of the traffic lanes approaching the roundabout. The report also highlighted several other changes to road and signage design that could help older drivers reduce their risk of an accident. These include installing reflective backplates on road signs and traffic signals, larger lettering on direction signs, and regular cleaning of road signs. It added that many of these changes would not be expensive to introduce when highways are being constructed, repaired or modified, and are likely to have a positive cost-benefit ratio.